Gottschild polishing, buffing and sanding machines are fully automatic systems for polishing and sanding of lacquered high-gloss furniture, high gloss panel and Corian®. With the use of standard polishing and sanding tools, the machine create a optimum uniform high gloss surface. The time saved compared to manual work is considerable. Gottschild HBS systems are very good for high-gloss finish of panels with an excellent surface. Depending on which and how many parts you edit, delivers Gottschild different systems. 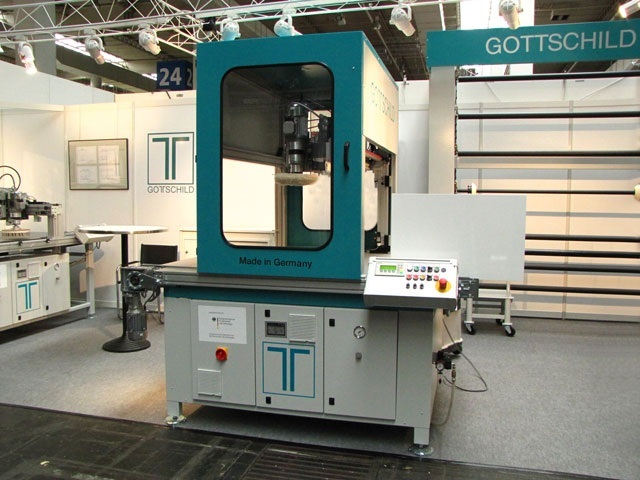 Gottschild polishing and sanding systems are an effective alternative to time-consuming polishing and sanding by hand.